產品上架時間 2013 七月 19 週五. An artistic Arduino compatible microcontroller! Clio is a complete Arduino compatible microcontroller. The former comparatively rigid PCBs are well transformed and take on a brand new vivid outlook with dynamic artistic and design elements into classic Arduino Leonardo version. If you desire for a unique Arduino , Clio would be a great choice. Why Art Meets Open Hardware? It’s well known that the major reason of Arduino’s popularity is that it reduces the difficulty in using hardware. This makes it possible for innovators who have no hardware background to build projects easily. Seeed has been thinking about presenting Arduino to beginners in a more friendly way, so that PCB won’t be prohibitive to them. Hence, an idea that combines arts and Arduino arises spontaneously. How Art Meets Open Hardware: Clio comes into being! We invited the famous Chinese illustrator Popil to take part in the design of this product. The appearance of Clio resembles the Russian Dolls, with electronic elements added, On the premise of functionality and stability, we all adopted SMT components, and tried to reduce the number of components to the least, so that the silkscreen on the back of Clio can be well protected, making the board more concise. In order to make the doll more vivid, we use the stop mask at the eyes area on PCB. When the LEDs light up, the bright eyes can be seen even from the front side of the board. 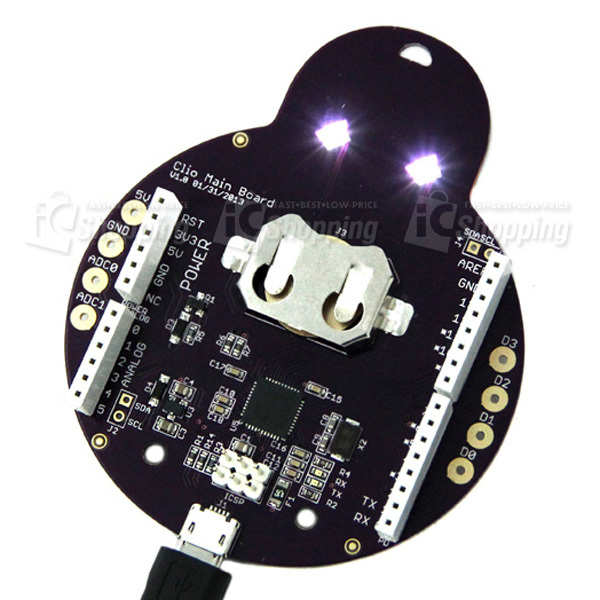 The artistic elements and precise design of Clio are based on the same microcontroller as Arduino Leonardo, the ATmega32u4 chip with 3.3 voltages condition. ATmega32u4 owns 8-bit microprocessor, but the amazing new feature in-build USB Protocol achieves USB serial- communication successfully without ft232! So, you can enjoy a cheaper and more qualified Arduino. Clio is a product for the calling of e-artistic fashions. We design a button lithium battery to afford your masterpiece with one more flexible choice, not only limited with USB charging. You simply putting in a lithium battery of 3.0V, Clio will work immediately. 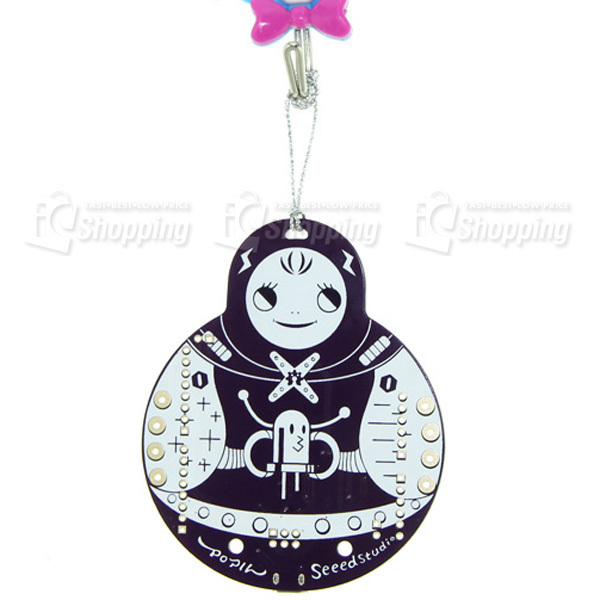 Also, we have designed a stop mask at the top of Clio, thus it is quite convenient for the makers to take with, but also a cute decoration for your designs. Al endowed this cute Aduino board with a lovely name: Clio. In Greek mythology, there were 9 goddesses of the arts. Clio being one of them, her focus was history.